After spending the past two years as a dance instructor and choreographer at Cowley College, Cara Kem will transition into the role of interim theatre director as the school prepares for the 2016-2017 academic year. Kem had an opportunity to spend the past two years working with previous Theatre Director John Sefel. Kem, an Oklahoma native, received her BS from the University of Central Oklahoma. She started her professional career at 13 at the Music Theatre of Wichita and Horsefeathers and Applesauce before performing leading roles in many other regional theaters across the county. 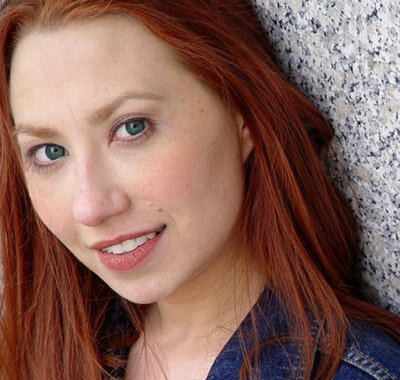 She has been seen in multiple off-Broadway shows in New York City, has been involved in commercials, movies, TV, and voice-over work, and was in the Broadway 1st National Tour of Shrek. She spent two summers at the Broadway Theater Project working under the direction of Ann Reinking, where she had the privilege to study with acclaimed professionals as Gwen Vernon, Gregory Hines, and Stanley Donen, to name a few. She is most proud of her work on the ground floor in the world premiere of High School Musical where she created the role of “Mrs. Wilson”, the moderator, and originated the role of “Cyndra” as well as many others. Kem recently performed the role of Morticia in Addams Family at the Kinzer Performing Arts Center in Oklahoma. Outside of her work at Cowley, she teaches at the family business, Kem's Gym and Inciardi School of Dance in Ponca City, OK.
Kem praised the work of previous Cowley College theatre directors Dejon Ewing, Scott MacLaughlin, and John Sefel and her goal is to continue their legacy while adding her own expertise. John Rohr, who was recently hired as the school’s technical director of theatre, was privileged to work with both Dejon and Scott. Kem is also eager to begin working with new director of vocal music, David Smith, on choosing a musical to perform. “Being able to build upon what is already happening here at Cowley will only make us better,” Kem said. She also hopes to create an interactive show where the students actively engage with the audience and must utilize improvisational skills. “One of our goals at Cowley is to give the students the ability to perform in as many different types of theatre experiences as possible,” Kem said. Kem said she hopes to lay a foundation for the students to build upon as they navigate down their own paths.